It’s Terry here, and I’ve got a series of reviews I call “Terry’s Take,” – where I “take on” a look at well… whatever I like! I like working out, I definitely dig the Paleo lifestyle, and other lifestyle interests. Don’t be surprised if you find me reviewing anything from home fitness programs, diets, gear, supplements, and more. It’s not just for guys, either, even though I am one. If I find something the ladies will like, I’ll take it on – especially since my girlfriend is always pointing stuff out to me. It was her that actually turned me onto the whole Paleo thing to begin with! 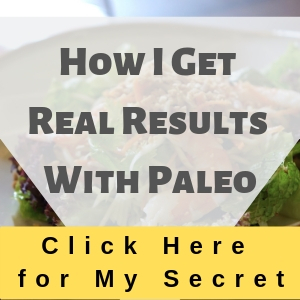 Anyway, this PaleoHacks cookbook is pretty cool, and it makes the whole meal planning work a lot easier than you might think, especially if you’re new to Paleo!